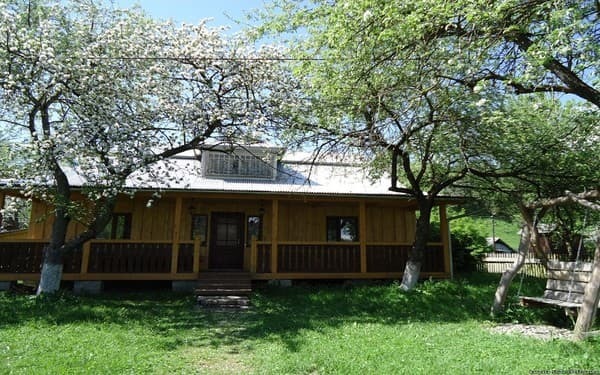 The estate "Shum Cheremosh" is a 2-storey cottage, ready to meet and accommodate up to 15 people. View from the windows - to the mountains. 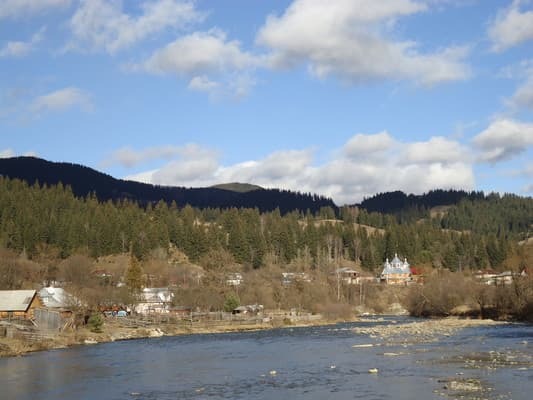 The estate is located near the mountain river Black Cheremosh, near the village of Verkhovyna, which is in the Ivano-Frankivsk region. From the windows you can see a clear river and mountains. 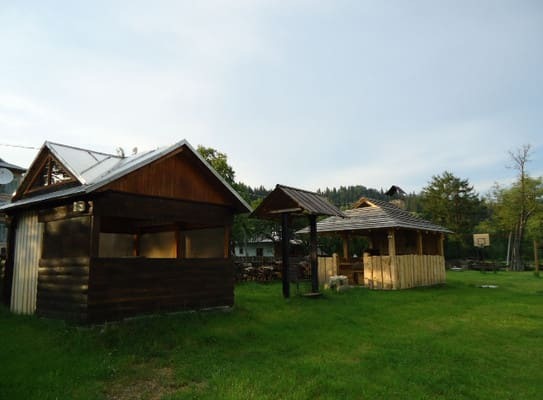 In the estate "Shum Cheremosh" there is an opportunity to relax in the sauna. 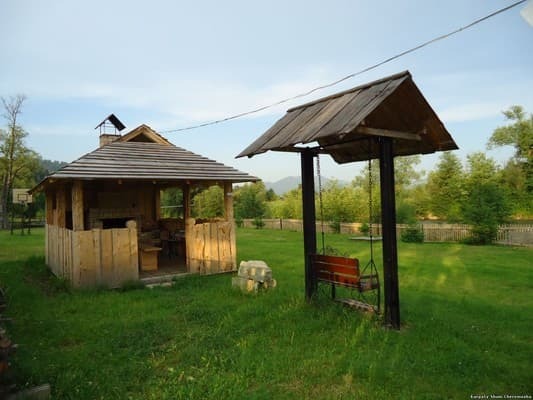 The territory of the cottage has two cozy gazebos, located next to the river, a swing, barbecue grill and a beautiful green environment. The owners of the manor will cook for their guests dishes from home-grown food, grown in an environmentally friendly environment. Lovers of active rest can choose their favorite occupation at any time of the year: skiing and sledging, rafting on the Black and White Cheremosh, horseback riding, visiting museums and getting to know the sights of the cities - Kolomyia, Kosova, Vorokhta, Yaremche, and also walks in the forest with the aim of collecting mushrooms, berries and medicinal herbs. 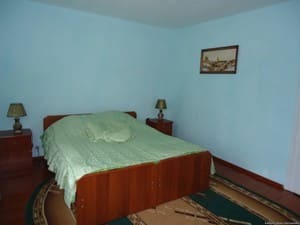 Описание номера: 2 single beds, sofa bed, TV, wardrobe. 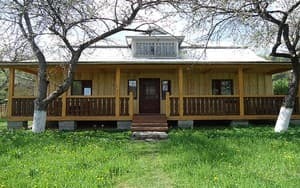 Описание номера: Cottage. On the ground floor there is a kitchen (electric stove, refrigerator, electric kettle, sink, dishes), a living room (sofa, armchairs, TV), triple (2 single beds, sofa bed, TV, wardrobe) and a double room (2 single beds) bathroom (bath, toilet, washbasin). 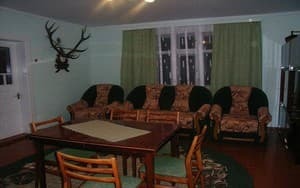 Children under 3 years old stay free of charge, discount for children from 3 to 6 years - 50%, 6-10 years - 20%. 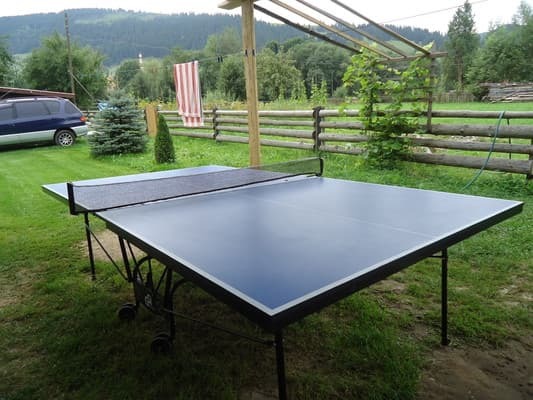 Manor "Cheremosh noise" is in the picturesque Carpathian mountains away from traffic noise and bustle, near a mountain river Black Cheremosh 2.5 km from the village. Verkhovyna Ivano-Frankivsk region. Before pgt.Verhovina to travel by train, by bus from Ivano-Frankivsk. In p. Uelzen estate "Cheremosh noise" is located 200 meters from the highway and 2.5 km from the village. Verkhovyna. Easy access - hard-packed dirt road. The nearest ski lift - 2 km to Bukovel - 55 km.